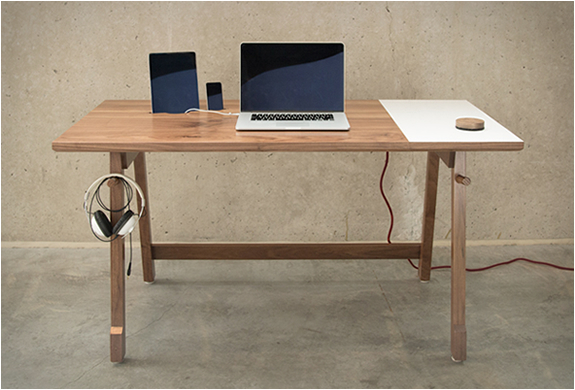 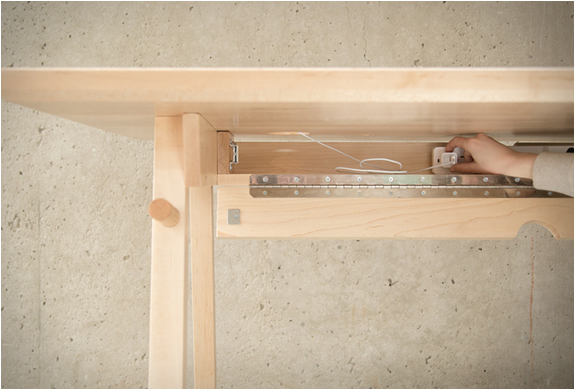 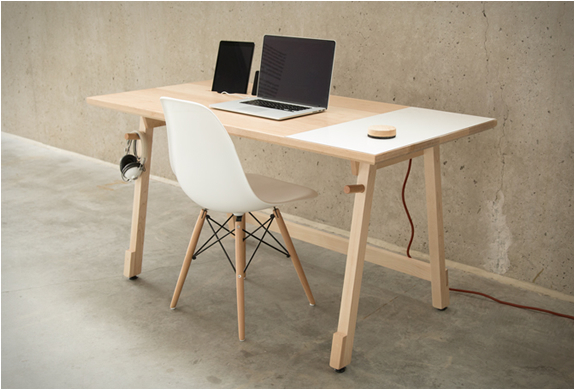 This beautiful and functional work desk was designed by Artifox, a company dedicated to crafting clever solutions and reinventing the way we use everyday items. 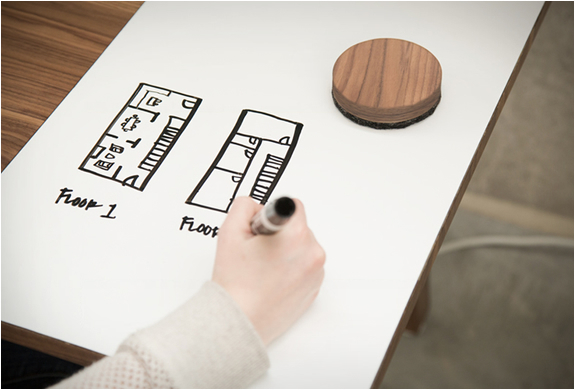 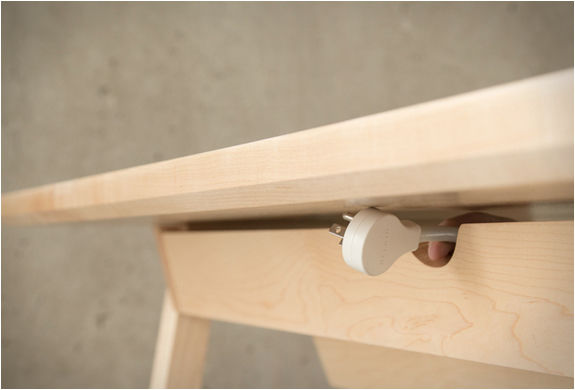 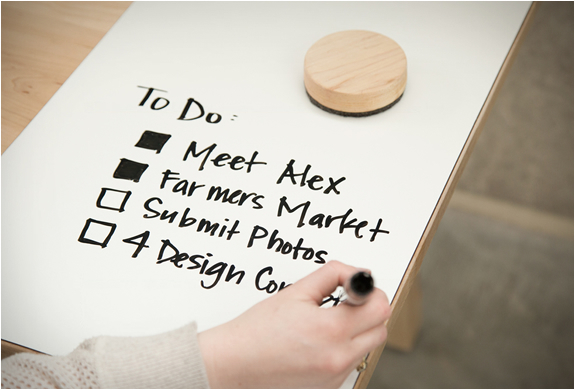 Their new Desk 01 is hand crafted from solid hardwood and has a built-in writable/erasable whiteboard for jotting down notes(eraser included). 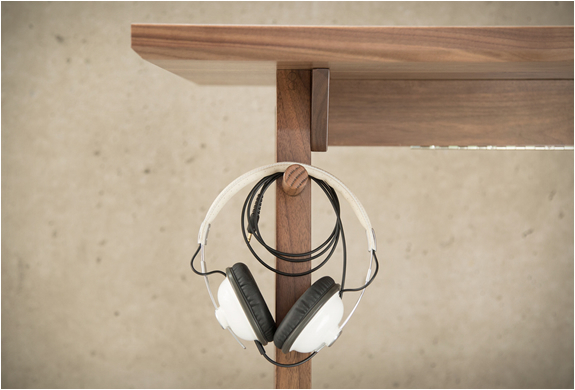 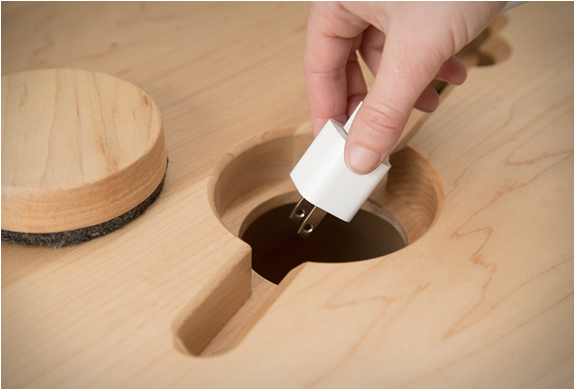 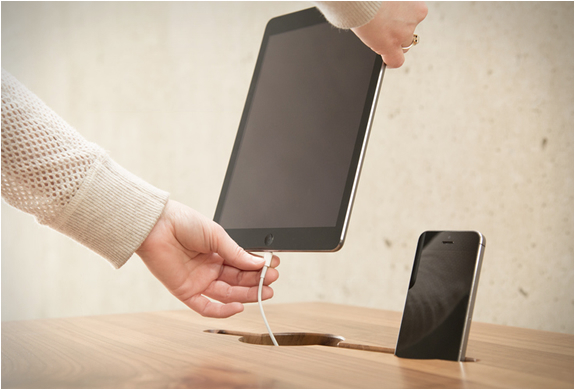 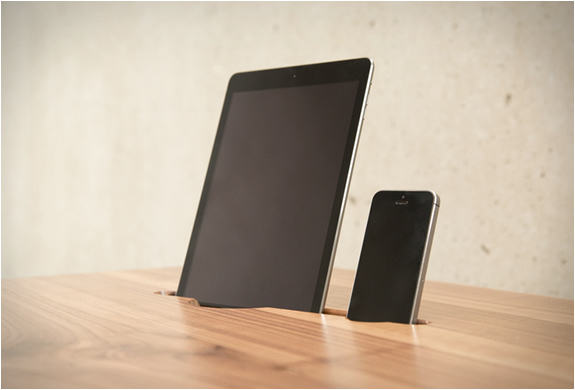 It also features several functional details such as a tablet and mobile phone dock, two hooks for hanging stuff like headphones or backpacks, and a clever cable management system. 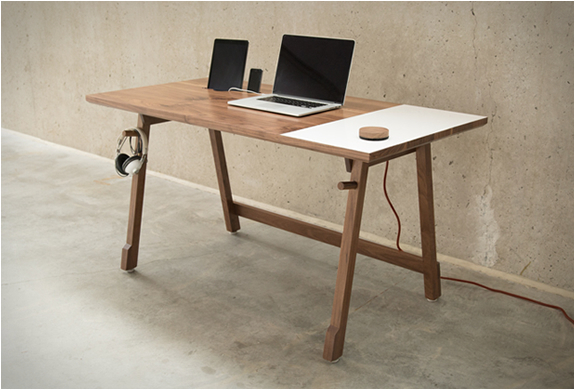 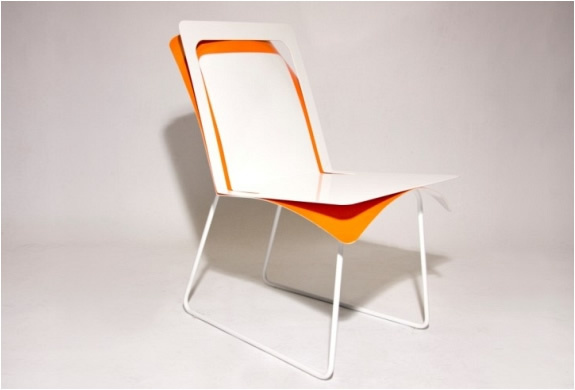 Available now for pre-order in either Maple or Walnut and with a choice of right or left hand.